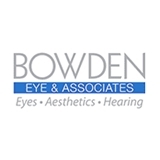 Bowden Eye & Associates (Jacksonville) - Book Appointment Online! The commitment to excellence of our ophthalmologists, optometrists and our staff to the goal of establishing the benchmark for vision and cosmetic care begins with our founder, renowned cornea specialist and surgeon, Dr. Frank W. Bowden III. Dr. Bowden, the ‘Official Eye Care Provider for the Jacksonville Jaguars from 1995 to 2017,’ has been recognized by Jacksonville Magazine as one of the community’s Top Doctors on numerous occasions and was named Jacksonville’s Best Doctor of 2006. We have 2 other corneal specialists as well as 4 Optometrists. No other team in Northern Florida is more qualified or more committed to your care. Informative on eye care and whys to soothe eyes. I liked the fact that whatever you needed for eye care could be found in one location. Everyone was helpful and very professional, especially Dr. Cronin.